2019/03/07 – TV report says IDF commandos are teaching local forces krav maga, urban combat and hostage rescue in a dozen African nations. 2019/02/25 – Israel has “potential” diplomatic relations with Mali and Niger — two Muslim countries in Africa — according to a map Prime Minister Benjamin Netanyahu showed American-Jewish leaders this week. 2019/20/02 – Israeli Prime Minister Benjamin Netanyahu told American-Jewish leaders that Israel has “potential” diplomatic relations with Mali and Niger, reported The Times of Israel. 2019/06/02 – Minister won’t address reports, but recent visit to north African nation by top Jewish Republicans adds fuel to speculation. 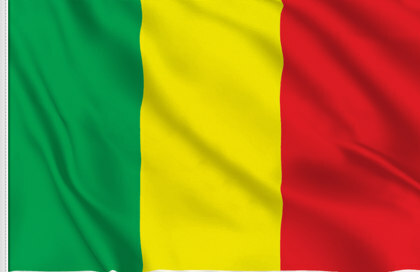 2019/01/23 – After announcement of resumption of relations with Chad, senior Israeli officials say Mali is next. 2019/01/15 – Le premier ministre israélien, Benjamin Netanyahu est attendu dimanche à N’Djamena au Tchad, selon plusieurs médias israéliens. La visite devrait durer quelques heures et Netanyahu devrait repartir dans la même journée. La coopération entre Israël et le Tchad sera au coeur du voyage à N’Djamena du premier ministre Benjamin Netanyahu. 2018/02/12 – The president of Chad has presented Israel with a laundry list of demands, including significant arms sales, as a condition for renewing ties, according to a report Wednesday.